ELO Digital Office is expanding “ELO Business Solutions”. The changes will affect visitor, invoicing and contract management as well as digital file management in administrations and provide standardized approaches as best practices. Thus, business solutions can be implemented quickly and made ready for the user. The creator of systems for enterprise content management (ECM) has optimized processes in the areas of evaluation, controlling as well as collaboration. In addition, possibilities of employee self service were added. What all “ELO Business Solutions” have in common is a cockpit for controlling and the creation of various evaluations. The solution for contract management for instance supports the user in keeping an overview of all running contracts including the conditions and thus being able to keep payment and cancellation deadlines. Furthermore, correlations between different contracts are made clear using a timeline. An example here would be a leasing contract for an automotive vehicle that is linked to a limited employment contract and has to be terminated in time. For creation of contracts, collaborative functions are available. The document feed of component “ELO Collaboration” enables content- and document-based exchange and facilitates collaboration within the team. In addition, it displays the change history of a document and the related processes. Users can also subscribe to information now. This might be relevant for changes or updates to contracts. The business solutions have also been adapted for employee self service. Previously, employees often only needed a part of the processes and not the entire functionality. Now, individual approval processes such as holiday requests can be displayed in one tile. This can be integrated into the Intranet or similar portals and be made easily accessible to the employees. Visit Us at CeBIT in Hannover! We will present the newest functions of ELO ECM Suite 10 and of business solutions for invoice processing and contract management. Discover the possibilities of a seamless and efficient integration of ELO ECM in leading ERP/CRM applications. You can find us on stand F30 in hall 3 (ELO Digital Office GmbH) where we will show you innovative possibilities for a comprehensive and efficient document management. Pay us a visit and experience our solutions first hand – you will be amazed! Secure your trade visitor ticket now! 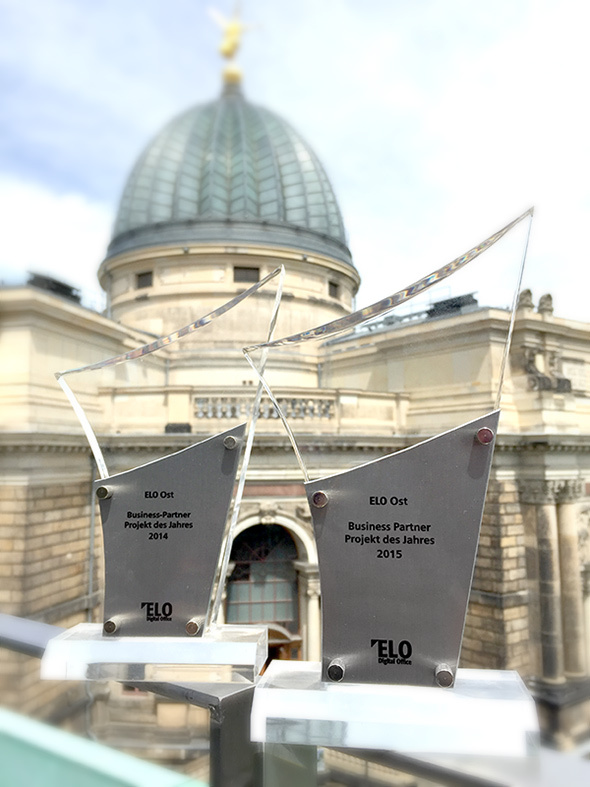 In the course of the ELO ECM Tour 2016 on June 28/29, 2016 in Potsdam, PRODATIS CONSULTING AG again won the award for successfully realizing an ELP project of a well-known client. 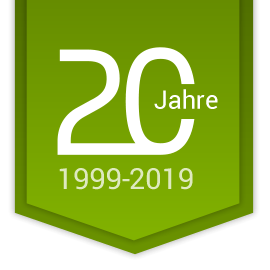 Each year, ELO Digital Office GmbH awards this distinction for extraordinary accomplishments. Just like in the previous year, we were able to bring the award back to Dresden due to professional contents and realization of the project. Our consultants will be happy to answer any questions. Start into the digital age with the document management solutions of PRODATIS CONSULTING AG. Let’s win the next award together! Together with ELO Digital Office GmbH, PRODATIS CONSULTING AG will be back with the famous ECM German Tour in 2016 and present successful practical solutions around the topics of enterprise content management (ECM), DMS, archiving and workflow. 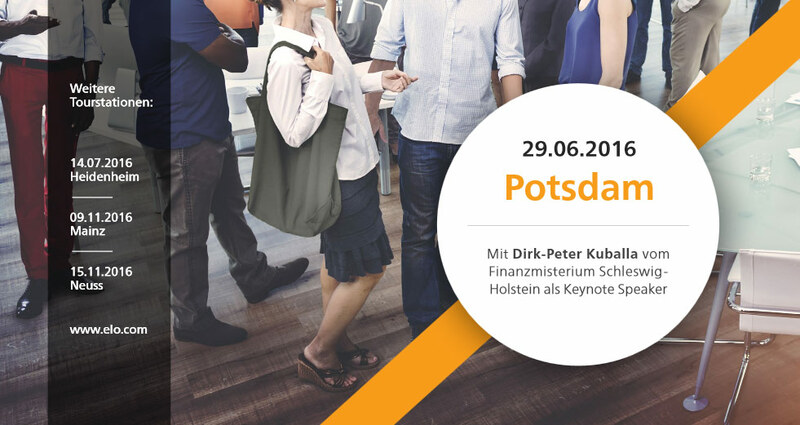 On Wednesday, June 29, 2016, PRODATIS CONSULTING AG invites you to the Seminaris Lake Hotel Potsdam (An der Pirschheide 40, 14471 Potsdam, Germany). Hannover/CeBIT, March 14, 2016 – ELO Digital Office presents version 10 of its suite for enterprise content management (ECM) at CeBIT 2016. It contains the solution for medium-sized businesses, ELOprofessional, as well as the multi-client capable high-end system for large corporations and concerns, ELOenterprise. Both have been fitted with a completely overhauled user interface and expanded in the areas of workflow and collaboration. ELO Digital Office has also integrated the new version of Abbyy FineReader. The text recognition is now even more powerful and covers the Linux environment. The native client now also facilitates platform-independent working for Max OS X users. The use of ELO ECM Suite is therefore also very comfortable on Apple Mac OS X.